If you need help understanding the property licensing rules in Southwark you have come to the right place! We are experts in housing regulation and have produced this free guide to help you understand the council’s property licensing schemes. To help set the scene, the London Borough of Southwark is in South London covering an area of 11 square miles. It is bordered by the boroughs of Lambeth to the west, Croydon and Bromley to the south, Lewisham to the east and with the River Thames to the north. According to the 2011 Census about 24% of the housing stock was privately rented which is marginally below the London average of 25% (1 in 4). There is a high chance you will need a licence to rent out your property in Southwark although you need to study the arrangements carefully as one of the licensing schemes only applies to part of the borough. We will try to explain. On 1 January 2016, Southwark Council implemented a borough wide additional licensing scheme together with a selective licensing scheme that covers part of the borough. The schemes will last for five years until 31 December 2020. There is also the mandatory HMO licensing scheme that applies across England and Wales. So in total, there are three separate licensing schemes. 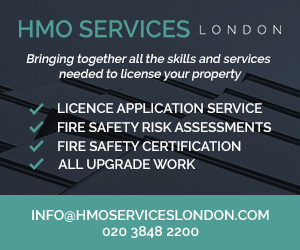 You will need an additional licence if your property is let as a House in Multiple Occupation that does not fall within the remit of the mandatory HMO licensing scheme. So licensing applies to all HMOs in Southwark. This includes all house and flat shares occupied by three of more people who are not all related, even if they occupy the property on a single tenancy. So a building containing both owner-occupied and rented flats may need one licence for the whole building. This is a complex area of law and you may need further advice. You will need a selective licence if your property (house or flat) is let out to a single person, couple or single household and is located in one of the council’s selective licensing areas. This is where it becomes really complicated. There is a map attached to the scheme designation but the scale is far too small to see exactly what properties are included. The scheme covers seventeen distinct areas, each of which incorporate several residential streets and partial streets – it covers about 134 streets in total. To find out whether your property falls within a selective licensing area, you can check your address using the interactive map on the council’s website. In our opinion, this is one of the most complicated licensing schemes we have come across, so allow plenty of time to study the details. In summary, if you rent out a House in Multiple Occupation in Southwark, it needs to be licensed. If you rent out a property to a single family, it will need to be licensed if it is in one of the selective licensing scheme areas. Southwark Council’s licence fees vary according to the type of licence you are applying for. The standard licence fee is £262.65 per bedroom (£255 in 2017/18, £250 in 2016/17, £180 in 2014/15) for the first 10 rooms and an extra £157.59 per bedroom (£153 in 2017/18, £150 in 2016/17, £60 in 2014/15) after that. So it costs £1,313 to license a three storey shared house with five single person lettings. The selective licence fee is £525.30 per house or flat (£510 in 2017/18, £500 in 2016/17). 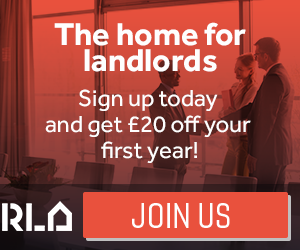 The council offer a 20% discount for landlords accredited through the London Landlord Accreditation Schemeor another approved scheme, so you could save £262 when licensing a property with five lettings! The fees we have listed are correct as of October 2018 but could be subject to change in the future. The fees can be viewed in full on the council’s website. To apply for a licence, you can visit the council’s website and click on the ‘Property Licensing Portal’ link. We understand you can submit a paper application although there is an extra £100 fee to cover the extra administration costs. If you need assistance with your licence application, we can help you. We offer a unique hassle-free, one-stop-shop service to handle your licence application from start to finish and all for a fixed fee. As part of the service, we carry out an inspection of your property and provide expert advice on compliance. We handle quite a few applications for landlords and agents in Southwark and know the arrangements well. You can find out more about our licence application handling service here. Yes, the council’s HMO standards were updated in June 2015 and can be downloaded from the council’s website. The standards relate to all HMOs covered by the mandatory and additional licensing schemes. It is important document that all Southwark HMO landlords need to be familiar with. In March 2015, Southwark Council told us they had licensed 225 HMOs. 67 licensed under the selective licensing scheme. 559 licensed under the selective licensing scheme. Southwark Council keeps a public register of licensed HMOs that is regularly updated although it is not available online. The council have told us that if you contact them direct, they can email you a copy or send you a hard copy in the post. Yes, there do seem to be. In March 2015, Southwark Council told us they think there could be up to 800 properties covered by the mandatory HMO licensing scheme. The Council also think there could be up to 10,000 HMOs that need licensing under the additional scheme and a further 5,000 properties that need licensing under the selective scheme. When we asked again in September 2016, the council thought these initial estimates may be too high, but no one really knows. In any event, it seems there are still thousands of properties being rented out in Southwark that need licensing but where no licence application has yet been submitted. If you are one of those landlords operating without a licence, you should apply now to avoid the consequences. Ignore the law and you could pay a heavy price. You risk being prosecuted by the Council and if found guilty, you could get a criminal record, be fined an unlimited amount and ordered to pay court costs and a victim surcharge. Alternatively, the council can issue you with a civil penalty of up to £30,000 for not having the correct licence without any warning being given, so this is really serious stuff. While they took a break in 2016/17 while implementing their new licensing schemes, they took another fifteen housing prosecutions in 2017/18, so they are definitely stepping up their enforcement action. Southwark Council have not obtained any Rent Repayment Orders from the landlords of unlicensed HMOs over the seven years from April 2011 to March 2018. This is based on data published by the Courts and Tribunals Judiciary and information supplied by the council. However, in 2015, a group of five tenants successfully obtained a Rent Repayment Order of £16,263.94 after their landlord was convicted of operating an unlicensed HMO. Whilst we don’t have any figures for the NLA or RLA schemes, we have got information about the London Landlord Accreditation Scheme that is supported by all the London Boroughs. In January 2016, they told us there were 560 accredited landlords in Southwark, which was above average when compared to all London boroughs. By January 2018, that figure had increased to 620, which is now below average when compared to all the London boroughs. To find out more about becoming accredited, you can visit the London Landlord Accreditation Scheme website here. Southwark Council have already implemented a borough wide additional licensing scheme and a smaller selective licensing scheme. Adoption of new HMO standards. On 21 July 2015, a proposed additional and selective licensing scheme was approved at Southwark Council’s Cabinet meeting and the licensing scheme was due to come into force on 1 November 2015. You can read the full Cabinet report on the Council’s website. But that was not quite the end of the matter. A further report was approved by the Strategic Director of Environment and Leisure on 7 October 2015 (read here), which delayed the scheme start date until 1 January 2016. There is always a lot happening at Southwark so we monitor the situation closely and will keep you posted about any further developments. On 27 October 2014, Southwark Council implemented a HMO Article 4 Direction that removes the permitted development rights to change a property from a single-family house (use class C3) to an HMO occupied by up to six people (use class C4) without planning permission. This Article 4 Direction only applies in Henshaw Street, Walworth SE17. On 27 October 2016, Southwark Council introduced a second immediate HMO Article 4 Direction that applies in Bywater Place, Surrey Quays, London SE16. It is quite unusual for local authorities to issue immediate HMO Article 4 Directions as it means in some circumstances they may have to pay compensation to developers if an application for planning permission is refused. It also shows how planning restrictions can change quite rapidly. You can find out more information on the council’s website. Mandatory and additional HMO licensing applies borough wide. There is a smaller selective licensing scheme that covers part of the borough.